While it may be an ‘entry level’ superyacht when stacked up against the likes of Roman Abramovich's ‘Eclipse’ or Larry Ellison’s ‘Octopus’, the Princess V85-S is still a ‘whole lotta boat’. High up on the flying bridge you can still hear the simmering anger of the twin 35 litre MTU V16s deep in the hull. There’s close to 5000 horsepower on tap, just waiting for you to push the throttles forward. Forget Formula One, these kinds of numbers are reserved for top fuel dragsters. The revolutions build gradually to a satisfying crescendo as the full 60 tonnes of glorious mirror-finished fibreglass and teak thrust forward to a maximum speed of almost 40 knots. Yet, the ride is so smooth, the champagne barely splashes. This is the kind of unmatched experience delivered by the superlative Princess V85-S. I’d wager even Roman or Larry would be impressed with this level of performance. The half-century old British marine marque is about as old as the famous James Bond 007 franchise and is part of the massive Paris-based luxury group, LVMH, which includes Moët, Hennessy and Louis Vuitton. 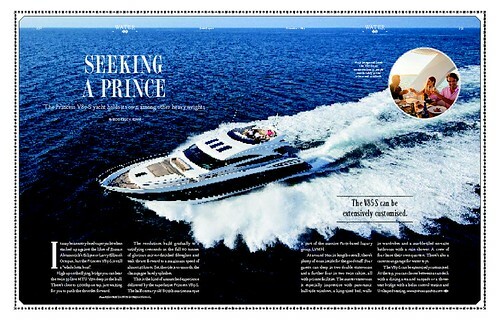 While rival British brand, Sunseeker, have stolen the limelight in recent 007 movies, real life villains have taste too. Kim Jung-un was spotted touring his fiefdom in 30m Princess last year. At around 26m length overall, there’s plenty of room inside for the good stuff. Four guests can sleep in two double staterooms and a further four in two twin cabins, all with private facilities. The master stateroom is especially impressive with panoramic hull-side windows, a king-size bed, walk-in wardrobes and a marble en suite with monsoon shower. Just remember to draw the curtains. A crew of four have their own quarters. The V85-S can be extensively customised. 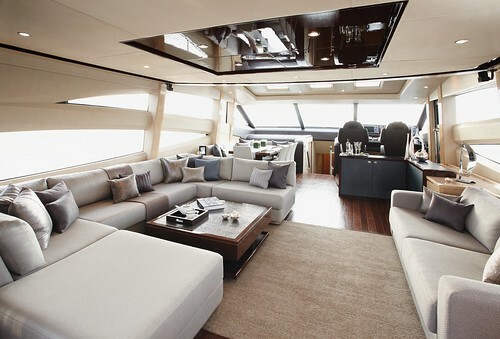 At the top, you can choose between a sun deck with a dining area and sunpads or a three-seat bridge with a helm control station and relaxed U-shape seating. 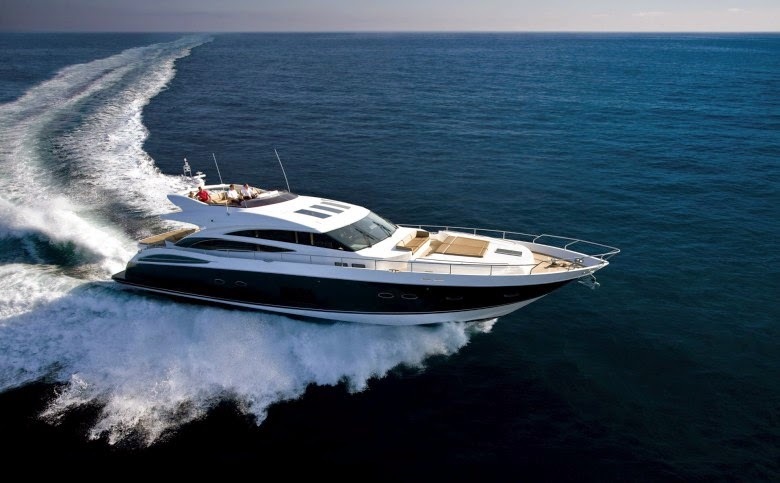 If surveyed for commercial use, the V85-S would accommodate 35 persons comfortably in the saloon and sun deck. There’s a cavernous garage for water toys, complete with winches that can be filled with Jet Skis, a RIB or diving equipment. While there will always be a short wait as your personal V85-S is built to order, perfect examples can sometimes be found at the better brokerages. While waiting for her new home, Princess Yachts Australia have dubbed their unchristened V Series simply P1. At a replacement cost of around $8 million, P1 offers a lot of excitement plus the opportunity to christen her with a more suitable moniker. Priscilla, perhaps?